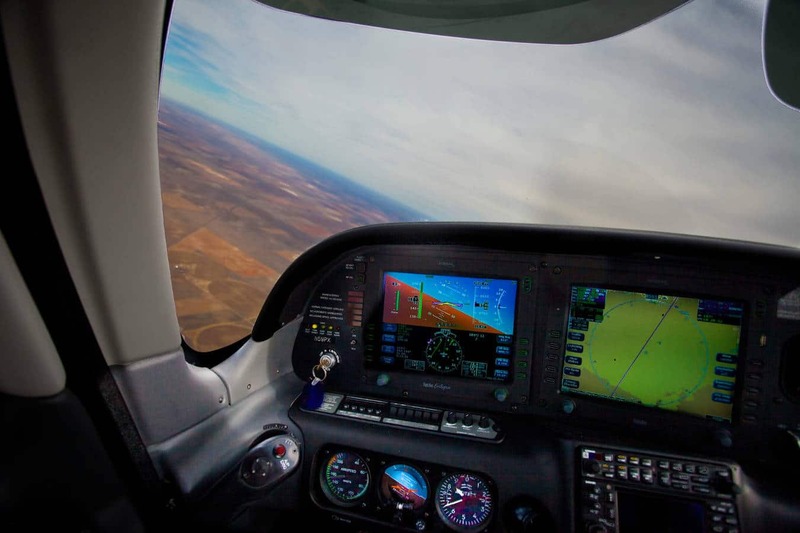 Filing, flying, and remaining IFR won’t just keep you proficient; it may someday save you from an FAA violation, spatial disorientation, or a tragic CFIT accident. There are a variety of ways earning an instrument rating can benefit a pilot. I’ve heard many accomplished pilots with multiple ratings say they found the Instrument rating the most challenging to achieve. Getting an IFR ticket takes time, brains, and money. So I’m always surprised how many pilots, having gone through all the effort and expense to earn their instrument rating, fail to use it much. There are times when you might consider using your IFR rating even when the weather is technically VFR. Filing, flying, and remaining IFR won’t just keep you proficient; it may someday save you from an FAA violation, spatial disorientation, or a tragic CFIT accident. Even if you don’t want to file, cross-checking your position with instrument charts and plates adds another layer of safety, something even a non-instrument rated pilot can do. Remember that Turbo Commander that crashed into the Superstition Mountains near Phoenix? Three adults and three children lost their lives. That flight was conducted under VFR on a clear but dark night (perfectly legal, of course). If you’re instrument rated, why not file and fly IFR every time you fly at night, even if it’s technically VFR? Sure, it can be a bother to do the extra planning and filing. You may have to hold for a release, delaying your departure. You may not get as direct a route as you’d like. And the MEAs may be higher than you had planned to fly. But those MEAs are there to separate you from the granite. I recall departing Los Angeles VFR at 3 a.m. with the forecast clear and a million all the way to our destination in South Dakota. After passing Las Vegas, lights from the ground ceased and it was as black as a cave with no moon, no horizon, and two sleeping passengers. For all practical purposes, we were in IMC, because looking outside gave me about as much information as when inside a cloud. So while scanning the instruments to keep the right side up it was time to double-check the sectional and make sure I was higher than any of the numerous mountains in the vicinity. Fortunately, I’d been following along and knew where we were. If you’re high and remote enough you have time to sort it all out, get a plan together, or maybe call ATC to file in the air, but hillsides nationwide are littered with the wreckage of those who ran out of that time. File IFR before a night VMC departure, or at least fly using IFR procedures and altitudes, and you have something to fall back on if you lose ground references, whether due to extreme darkness or unforecast clouds, which you often cannot see at night before you’re inside them. Enroute, even on a daytime VFR flight, you could encounter haze, smoke, marine layers, or flat light on snow-covered terrain, all of which can cause you to lose reference to the horizon. 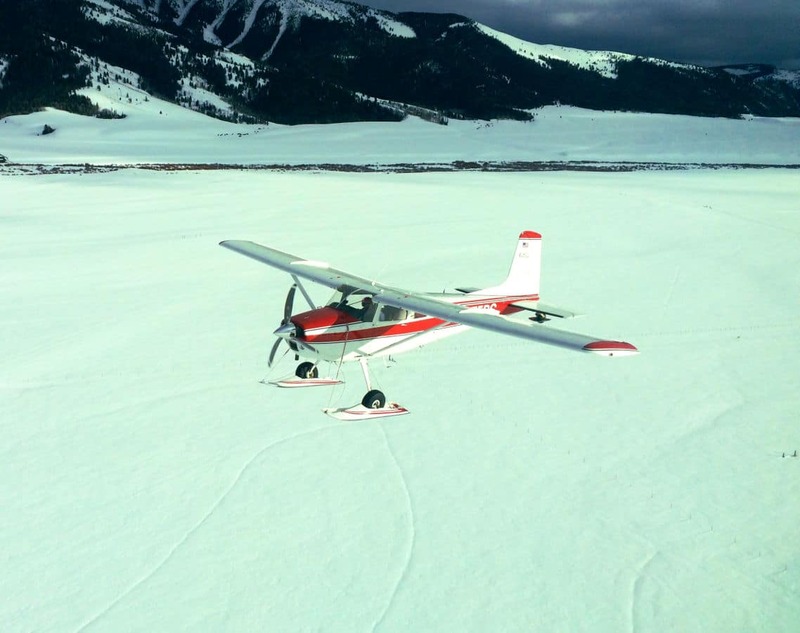 A fellow up here in Idaho was flying over a frozen, snow-covered lake on a gray day with no horizon and literally flew his plane into the snow. He had no idea how low he was, similar to a glassy-water situation for a seaplane. Fortunately, he was fine, although his plane was totaled. When you’re in the VFR mindset you rely on your senses, which also makes you susceptible to “the leans” or Coriolis illusion, particularly if you have just moved your head or made a correction during or after a long turn. The proficient pilot can handle these situations by switching to instruments, but even instrument-rated pilots have been fooled when visibility unexpectedly diminishes—perhaps not consciously accepting that they were effectively in IMC. And the failure to react can be catastrophic. To lower your chances of getting caught unawares, study the weather carefully before departure, especially if you’ll be flying at dusk, dawn, or over water or featureless terrain. If you still choose to launch VFR, then remind yourself to always be ready to switch to flying by instruments if visibility deteriorates, and perhaps use the autopilot to keep the wings level. Weather that is technically VFR but actually marginal can fool you on departure or arrival, as well. Here are some steps to protect yourself from these hazards: Before your night flight, check www.StarDate.org/nightsky/moon to see how much light you can expect from the moon, if any. Pitching up into a dark night, you may suddenly lose all reference to the ground. Lights and stars can sometimes combine for deceptive horizons. If it’s going to be very dark, start with a dim cabin and watch your heading and attitude as you climb. But why not first study and then program an IFR departure into your panel? Better yet, file it and fly it to avoid disorientation and obstacles, keep yourself over minimum safe altitudes, and keep yourself in the IFR “mindset.” When you get ready to land, flying an IFR approach, even on a clear night or hazy day, will also help prevent visual deceptions. On approach, unusually wide or narrow runways can cause you to subconsciously position the aircraft too low or high. But if you’re properly tracking the IFR approach, you won’t make those mistakes. Even if you decide to fly VFR, if you also program the approach, brief the plate, and cross-check your instruments, it will help prevent low visibility from leading you astray. Ground fog can creep over your arrival airport and you may not realize it until you suddenly lose visibility as you near the ground—the worst possible place for that to happen. On approach, fuzzy-looking runway lights are your clue to possible ground fog. If you’re on an IFR flight plan, you can try and continue your approach safely, but brief the miss and be ready to divert if you descend into ground fog. If you’re already IFR, beware of canceling too soon. Say you’re IFR, on the approach, and in the clag. The controller might be hinting he’d like you to cancel once you break out, have the airport in sight, and can land visually. It gets him off the hook for your traffic and obstacle separation, and allows him to squeeze in more arrivals or departures. But don’t be intimidated; keeping your IFR status to the ground keeps you in the system if you have to miss for any reason, and it also keeps you legal. You could break out, cancel immediately, and face an FAA violation for being too close to clouds while VFR and/or having less than three miles’ visibility. It’s all about risk management. If you’ve got that coveted IFR ticket, use your knowledge to lower your risks in all kinds of weather, and keep your backside covered too. Finally, if the weather is VFR, you’d like the protections of the IFR system, but don’t want to wait for a release, try asking for a “VFR-on-top” clearance. This offers see-and-avoid spacing with other traffic, so you might not have to wait on the ground. You’ll fly your IFR flight plan while maintaining VFR cloud clearances and visibility at any valid VFR altitude at or above the minimum IFR altitude (unless the controller adds an altitude restriction). But if visibility deteriorates, you won’t have to hassle filing a pop-up IFR clearance, because you’re already IFR. Just another way to get your time and money’s worth out of that coveted instrument rating.